They are called healing bowls by some, while other times they are known as mediation bowls or simply as singing crystal bowls. Whatever name you choose, these artistic, inverted bells produce unique tones that resonate with the human body and spirit, and have a rich history. The use of singing bowls can be difficult to trace to an exact date, but it is thought that their first use goes all the way back before the time of Buddhism, to around 500 B.C. in Tibet. This is why you will sometimes find crystal singing bowls referred to as Tibetan singing bowls or less often, Himalayan singing bowls. 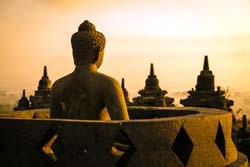 It is believed that singing bowls were an integral part of practicing the early religion of that time. But their use didn't end as religions evolved. This is probably due to the importance that sound and music has had across many religions and many cultures throughout history. From the earliest crude instruments of sticks, handmade drums and gongs to the human voice, the significance that sound plays in calming the human spirit and bringing about physical, mental and emotional healing has long been known and passed along through the generations. With the understanding that the body was ruled by energy centers or chakras, the understanding of how sound could help to remove barriers within the body and restore health began to form. Although they may not have communicated the significance of certain sounds to promote healing in the way we are able to understand and communicate it today, ancient people practiced the use of sound and vibration to improve physical, mental and emotional health. Of course, the first singing bowls were not made of pure quartz crystal like those available to you today. Instead, whatever materials were plentiful were used to craft these crude singing bowls. Over time, new materials were used--including metal and glass--and the playing of singing bowls became more refined. Today it is understood that singing bowls crafted of pure quartz crystal have the greatest impact on promoting wellness of body and spirit. People began to realize that pure quartz crystal allowed for greater magnification of vibration. This was significant since singing bowls are used as a representation of the natural vibrations of the universe and this greater magnification enabled by the use of quartz crystal made this representation much more meaningful. All crystal healing bowls from The OM Shoppe are made of 99.99 percent pure quartz, allowing for a pure, expansive and powerful sound that resonates deep into the body and its energy centers or chakras. Each quartz crystal singing bowl is tuned to a specific sound on the musical scale, which relates to a specific chakra. Using crystal assures the sound is precise and on pitch. Different sounds are emitted by each meditation singing bowl. 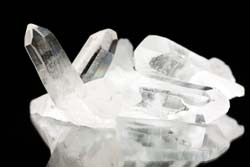 Crystal is superior to metal or other materials when creating singing bowls because every cell in the human body has a natural geometrical structure and relationship very similar to the structure and relationships of quartz crystals. You can more easily align your inner being with the inherent crystal structure of these pure crystal singing bowls. Other bowls are relying on materials that are foreign to the human body. If you are able to identify illness, injury or emotional difficulties, one or more chakras in your body are vibrating out of tune, sacrificing optimal physical, mental or emotional health. Selecting a crystal healing bowl that corresponds to the areas you are having difficulties with can help to nurture your mind, body and soul back to optimal wellness. Because of their ability to align with the body's energy centers. 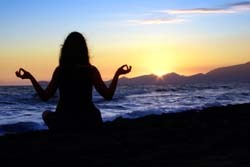 singing bowls are widely known as one of the most effective ways to realign the chakras and strive for optimal health. 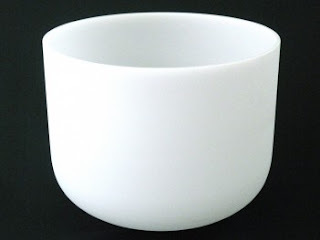 But it is important to choose only singing bowls made of pure quartz crystal, so you can be assured you are gaining optimal use of the purest possible sound for meditation and healing.